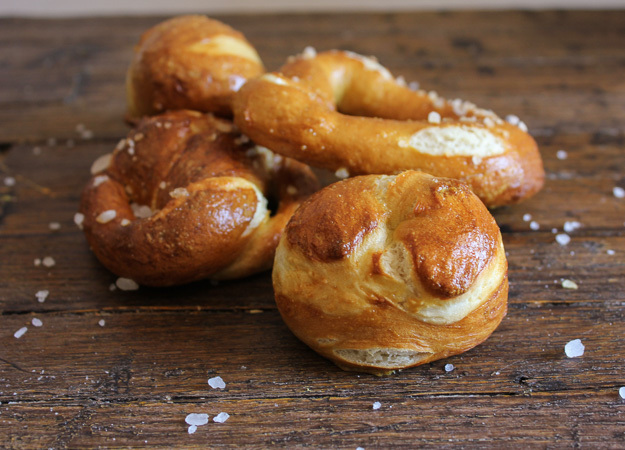 Soft Homemade Pretzels, crunchy on the outside and soft inside, the perfect snack or anytime bread. Can you believe I have never eaten Soft Homemade Pretzels? Although I am one to buy a bag every now and again of those hard, crunchy pretzel sticks. Last summer when I was visiting in Toronto, I was lucky enough to come across a bunch of hand written recipes by my Mom. One of those recipes was for Soft Homemade Pretzels. I am sure she never made them though. Makes you wonder where and from who she got this recipe and why she never made them?I must give all the credit to my eldest daughter for convincing me to give these a go. All I can say is, I am so glad she did. Now I know why everyone goes crazy for soft pretzels. Little did I know, but with a little bit of searching, I also discovered that pretzels apparently were invented by an Italian Monk, as a reward to children for learning their prayers! 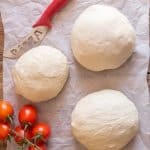 The dough for Soft Homemade Pretzels is so easy, as easy as pizza dough. Let it rest an hour or two or until it doubles in bulk. 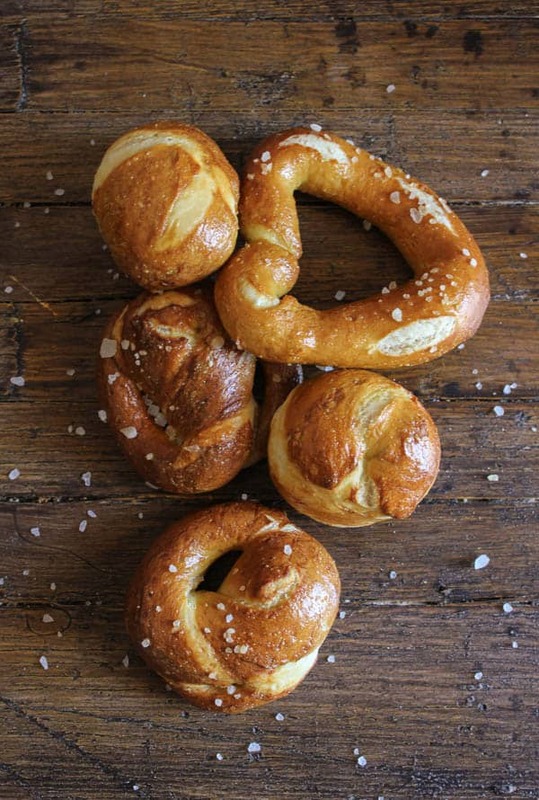 I am not going to give you any tips on forming the perfect pretzel because mine were far from perfect (check out How to Twist a Pretzel-wiki how) all I can say is “easier said than done”. After I did the best job I could and they were boiled in the baking soda/water bath then brushed with egg and sprinkled with rock salt and baked. I was impressed some actually came out looking like pretzels while most of them looked like small pretzel buns. Tonight I made myself a turkey sandwich with a pretzel bun and I have to tell you it was pretty amazing. The rest of the family found them pretty amazing considering there are only 3 left! Buon Appetito! 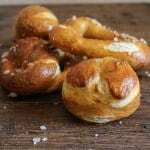 The best, crunchiest on the outside and perfectly soft on the inside, Soft Homemade Pretzels, never another store bought. In a large bowl add the warm water, sprinkle the yeast and sugar over the water, stir until dissolved, let sit for 3-5 minutes. Add flour and salt and stir to combine. Empty flour mixture onto a flat surface and knead until smooth and elastic (if really sticky add a little extra flour, although I didn't need to) for approximately 10 minutes. 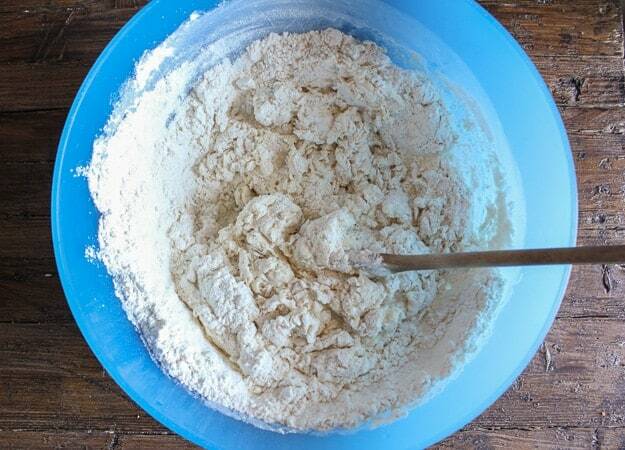 In a lightly greased large bowl add the dough and turn to grease all over. 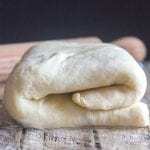 Cover with a large towel (I used a folded up tablecloth) and let rise 1-2 hours or until doubled in bulk. 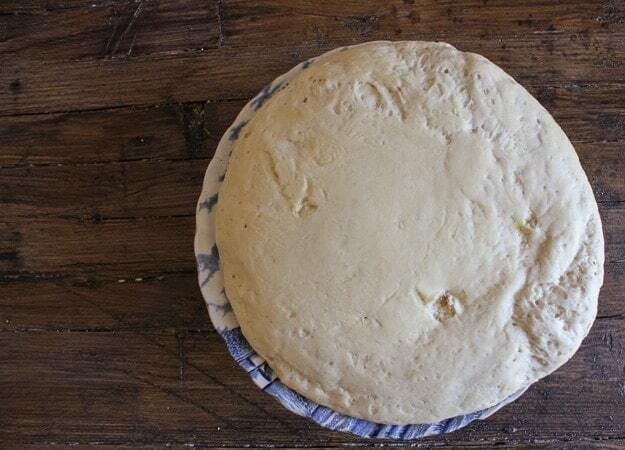 Punch dough down and knead a couple of times. 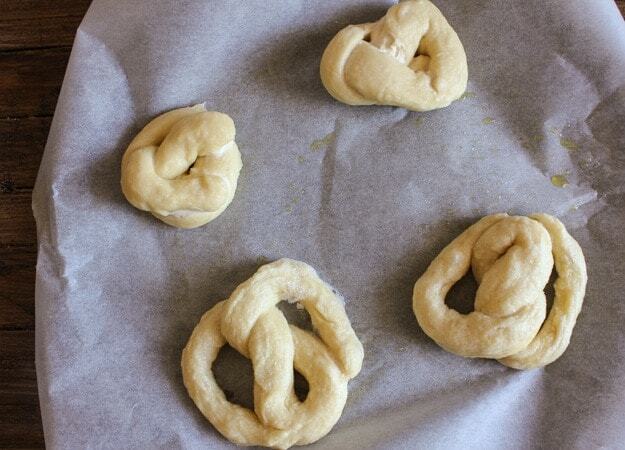 Divide into 15-16 portions and form into pretzels, buns, sticks whatever you like. In a large pot add 12 cups water, bring to a boil and then add 1/2 cup baking soda (use a big enough pot because once you add the baking soda it will bubble up, so be aware). 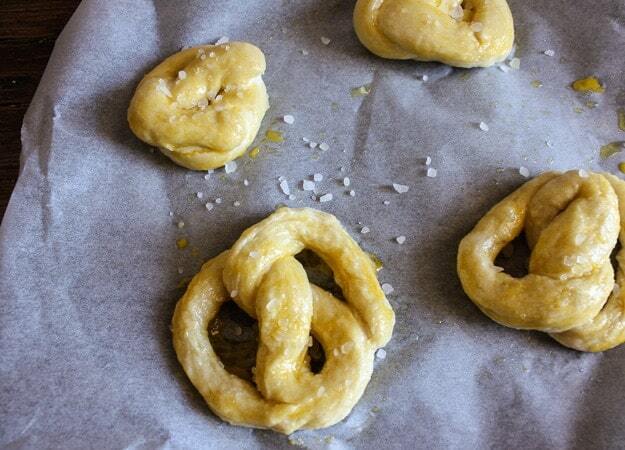 Add the pretzels one at a time for 30 seconds, remove with a slotted spoon and place on a lightly greased parchment paper lined cookie sheet, place approximately 2 inches apart. 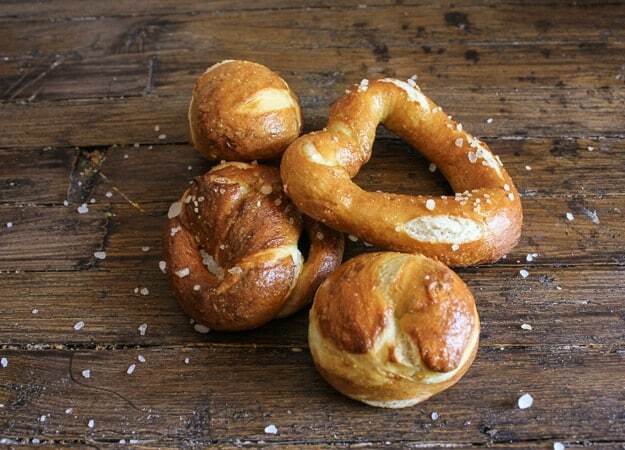 Brush each pretzel with beaten egg and sprinkle with coarse salt. Bake for approximately 12-15 minutes, or until golden brown. 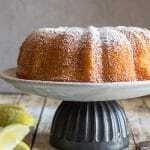 Remove from baking sheets and let cool on a wire rack. Enjoy! what would be your recommendation if i wanted to make these a day ahead of time and re-heat these for a party? would i just pop them in a 200 degree oven to warm them up a bit for, say, 15 minutes? Thank you hope you like them, and thanks for pinning! Have a great weekend. Hi Marisa, yes I changed over to mailchimp, so glad you stopped by. I would love to try pretzels with a cheese sauce, sounds amazing. And thank you for thinking of me. Have a great weekend. These look so soft and delicious! I can see why they were used as rewards! 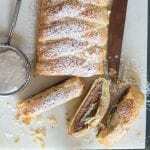 I have tons of recipes I haven’t made yet, I’ve kept them for years hoping to get around to them, lol Maybe someday.